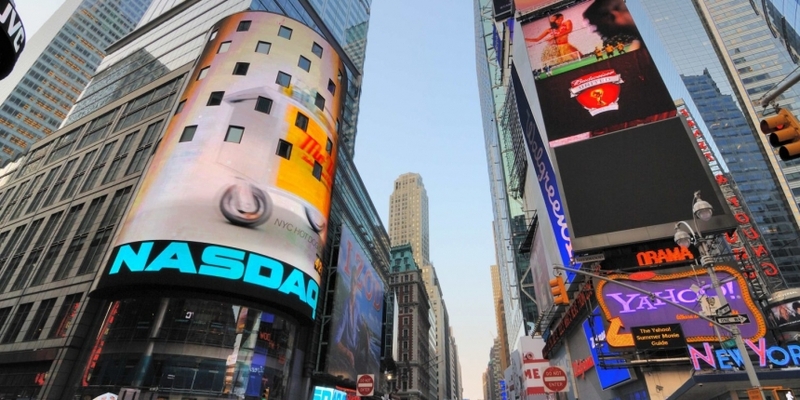 Exchange operator Nasdaq is helping to launch a new blockchain-based market for advertising contracts. The New York Interactive Advertising Exchange, or NYIAX, has positioned the forthcoming exchange release as a transparent means for buyers and sellers to trade digital media, the company said in an announcement released today. Nasdaq is providing the technology that will power the exchange. Though it didn’t get into specifics, the firm indicated that it will utilize proprietary technology, deployed in the cloud, using blockchain as the “core ledger” for transactions in the market. And while no full launch date has been revealed, NYIAX said that it aims to complete a pilot program by late 2017. The goal, the company said, is to seek to streamline the $32bn market for media advertising by securitizing advertising contracts. The launch comes months after Nasdaq began offering blockchain-based services to its exchange clients. It’s also been testing blockchain-based voting in Estonia, the early results of which Nasdaq has said seem promising from an operational standpoint. In 2015, Nasdaq launched Linq, a private market powered by the tech. The exchange operator is also one of a number of firms worldwide to seek patents related to blockchain. Last year, Nasdaq filed a patent application for “systems and methods of blockchain transaction recordation” as a means to streamline the post-trade archiving process. Correction: This article has been corrected to reflect that Nasdaq is serving as a technology partner to NYIAX, which is launching a new exchange. Richard Bush’s title has also been corrected. CoinDesk regrets the error.